The strawberries are blooming in the garden and spring will bring a bumper crop. In Sydney strawberries are particularly cheap and abundant so if you have never tried making jam why not give it a try. There is nothing better than a good spoonful of homemade strawberry jam to spread on your toast or to dollop on your scones with cream. This recipe will help you discover the delicious flavour but most importantly the wonderful spreadable, consistency of a good homemade strawberry jam. Wash jam jars in hot soapy water, rinsing them well and put them on an oven tray. The strawberries hulled and cut in half. Place the clean jam jars on the tray into a cold oven and set at 140º C. They should be completely dry by the time the jam is ready. Strawberries in the preserving pan cooking. When the sugar is completely dissolved, continue cooking the berries on low till they are soft. 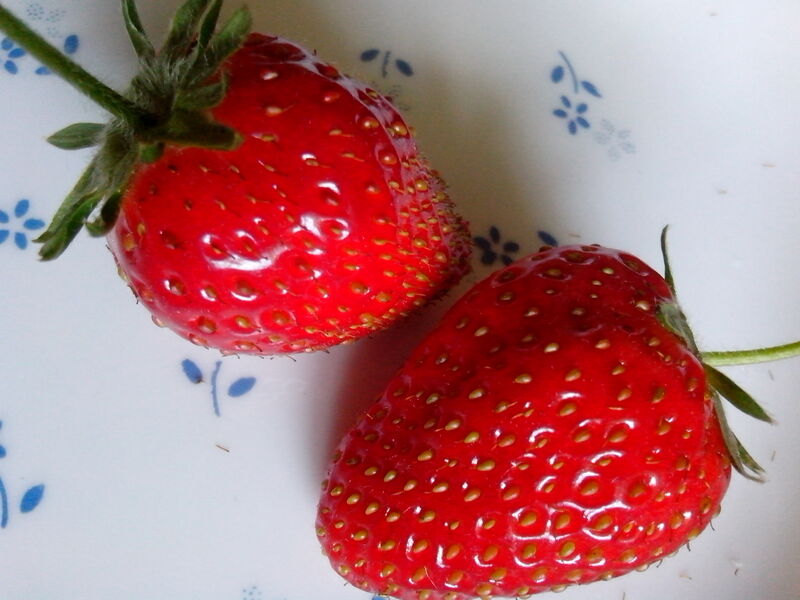 This will depend on the ripeness of the strawberries and could take up to 40 minutes. Mash with a potato masher if you do not want chunks of strawberries and a smoother jam. Then test the jam to see if it has reached the setting point by dropping a small amount of the jam onto the chilled saucer for a minute. Push the jam with your finger. If it wrinkles and doesn’t run, it has reached its setting point. Carefully ladle the jam into the hot, sterilised jars leaving a space between the lid and the jam and then seal. Handle the lids with sterilised tongs and never let your hands touch the inside of the lids. Seal tightly. Set aside to cool. You will hear the lids pop as a vacume forms as the jars cool. The finished jam, well set and spread on toast.